Sharing a birthday card for a friend and the last chance to play in this month's contest at Scrapbook Express. Check it out! 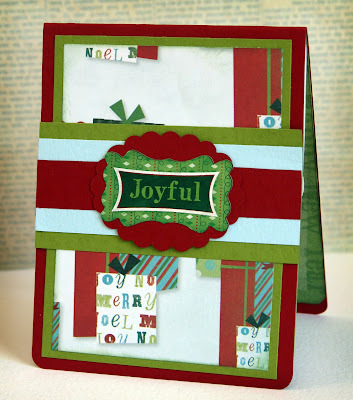 Karen Foster Design: Christmas in July! 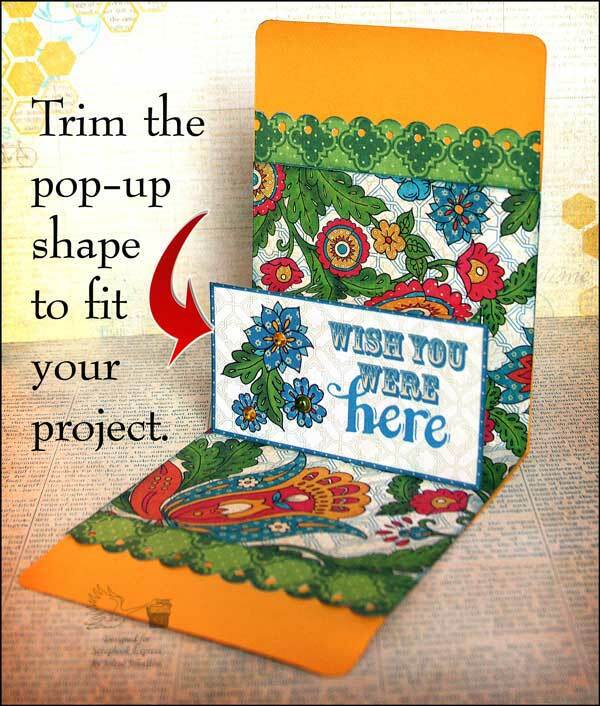 Today I'm starting a series of posts that share projects I made using some of the new summer CHA lines from Karen Foster Design. 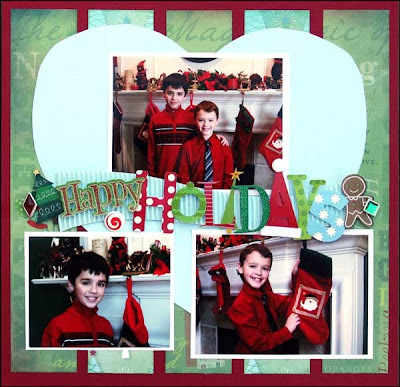 Today is Christmas in July! Please click on any photo for a closer look. 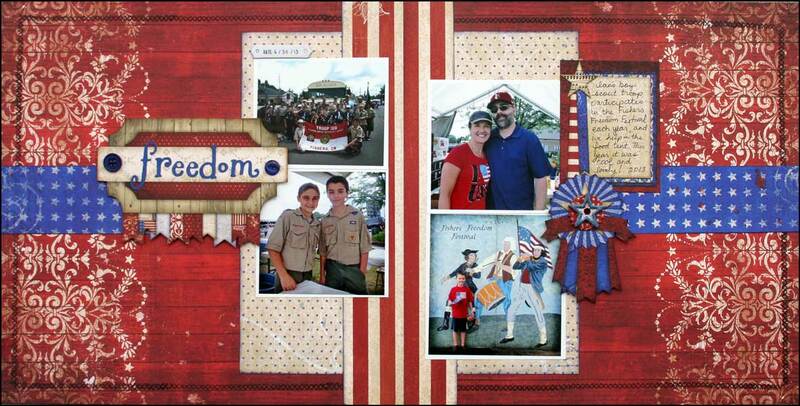 First up is this layout. 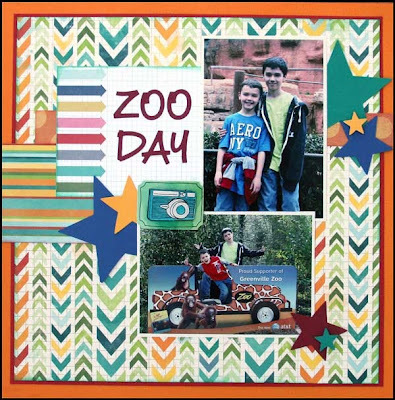 I sliced and diced two different papers to make the background and featured the adorable Stacked Statement across the center. 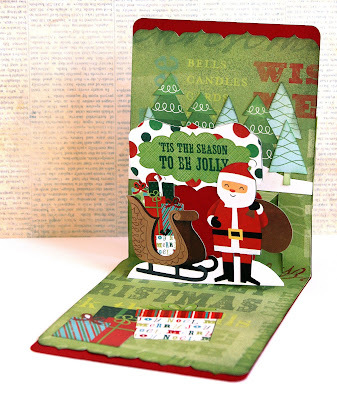 Probably my two favorite things about Karen Foster Design products are any type of brads and their Stacked line of products. Here I added a red Birthstone Brad and one Playful Swirl Dot Brad (I call them the candy brads!) I also added the tree sticker on the end with some foam adhesive. 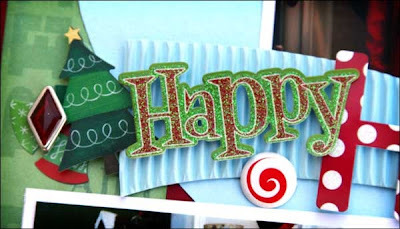 On the other side of the title you can see the glittered letters and flocked Santa hat. 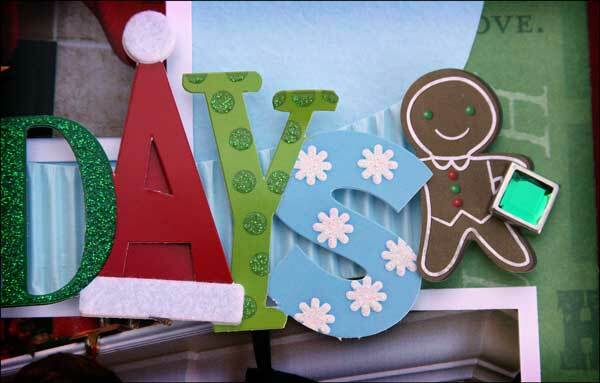 I added the gingerbread boy and another Birthstone Brad. I just love those things! This card has a pop-up Santa and sleigh! He's loaded down with toys and has even scattered some toys on the "floor" of this card. Behind him in the distance is a forest of snowy trees cut from papers in this collection. Pop up cards are my new obsession, and I had a blast creating this little scene. To see these new products and all Christmas products from Karen Foster Design, please CLICK HERE. Merry Christmas! It's all about pattern today on the Scrapbook Express blog! Check out the details for this project and instructions for how to enter our monthly contest to win $25 in products from our store. More Pop 'n Cuts you say? 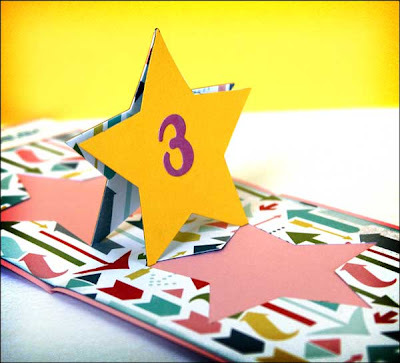 Today on the Scrapbook Express blog I'm featuring the star insert. Check it out! 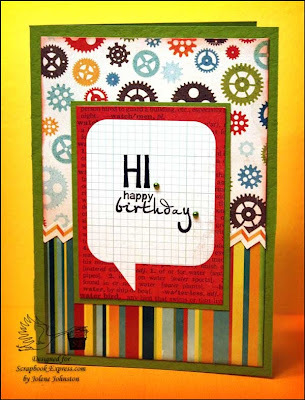 This week's Pop 'n Cuts feature on the Scrapbook Express blog is about using a journaling card to its fullest. Check it out! Scrapbook Express: Introducing Pop 'n Cuts! This is it! 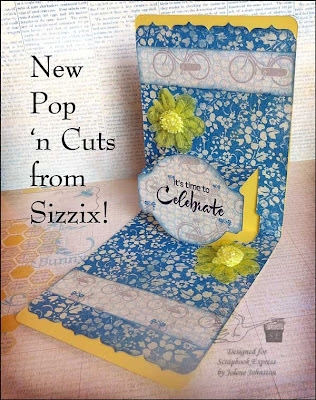 I have found something that has made me insanely happy in scrapbooking - Pop 'n Cuts dies from Sizzix! In the upcoming weeks I will be doing several posts for Scrapbook Express featuring these dies and fun ways to use them. Check out the SE blog for my first project. 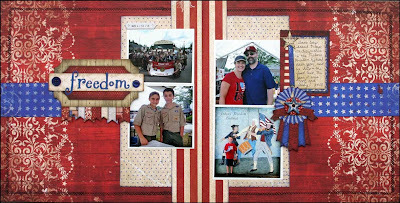 It's the Fourth of July, and today on the Scrapbook Express blog I'm sharing a tip about turning a one-page sketch into two. Come join me!